Nicole’s passion for travel began at a young age when she started work at East End Travel in 1987. 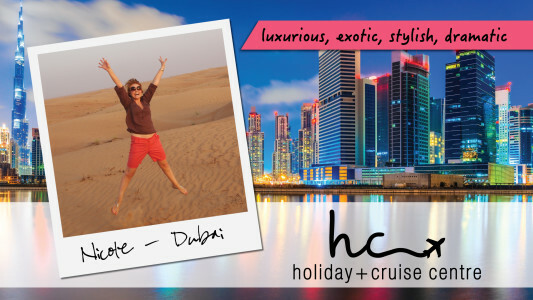 Nicole has travelled extensively during her 31 years in the travel industry and has seen many changes happen within this time. Nicole’s is a cruise master with the International Cruise Council of Australia. Some of Nicole’s favourite holiday destinations are Italy, Spain, Scotland, New York, Thailand, Bali, Fiji and New Zealand. Having a young family has also opened Nicole up to the world of family holidays, with good planning travelling with kids can be fun and easy. Nicole loves what she does for a living and relishes the opportunity to transfer her client’s travel dreams in a reality.